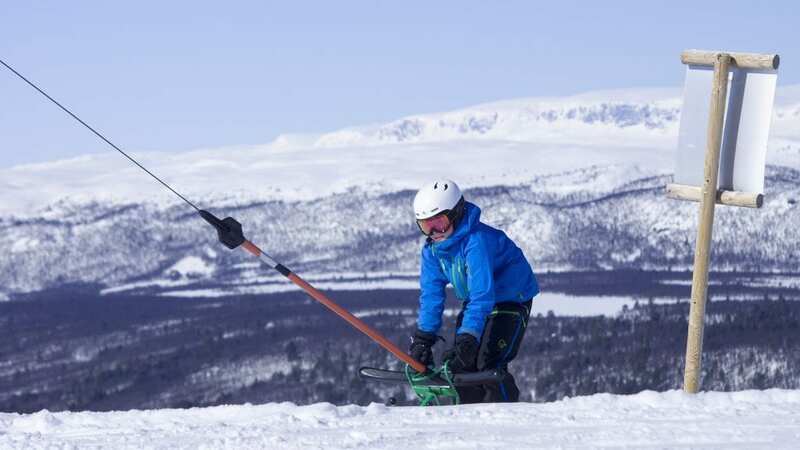 Try the 1850 meter long sledge track in Dagali Fjellpark! On a good lead, the sledge can reach a speed of 70km/h! Since the speed can be so high we have set an age limit of 12 years on the basins, 10 years for children who come together with an adult. For safety reasons, there may only be one person per sledge. The lift takes you up to the top where the squiggly track waiting to give you an exhilarating experience. You do not need to be childlike to have fun in the toboggan hill.